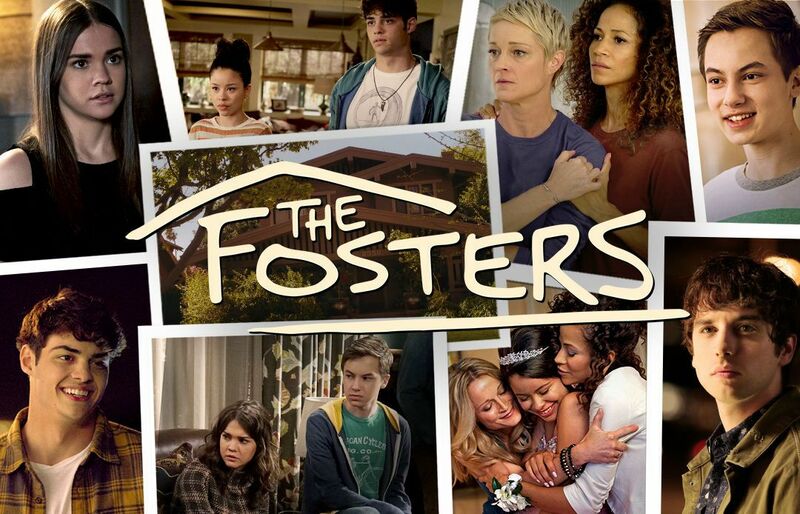 “The Fosters” is a family drama about a very unconventional family: a lesbian couple (a white police officer and a black school administrator), one biological son, adopted hispanic twins and two foster kids, one of them with a criminal background. Maia Mitchell stars as Callie, who is fresh out of juvie and gets placed with the Fosters, later joined by her brother Jude, who she is desperate to protect. Even though she shows a lot of resistance to fit in with the family in the beginning, she eventually starts to fall in love with the idea of becoming a Foster. With now five kids in their house in suburban San Diego the two parents Lena and Stef face many problems alongside their children in their turbulent life including first loves, fighting trauma and dealing with the reality of discrimination, making the series a very diverse and interesting show for fans of “Switched at Birth”, “Parenthood” and “This Is Us”. Having been on TV from 2013 to 2018, the five season long series dealt with a variety of serious topics including LGBT characters, racism, sexual assault and the justice system. However, while showing the viewers the reality of those issues, the show never loses its light touch and sharp humor. While the last episode was aired on Freeform last summer, you can watch all the seasons on Netflix and even catch a spin-off called “Good Trouble” on TV and Hulu. The show focuses on the now official Callie and Mariana Adams Foster, who just graduated college and are now facing the troubles of adulthood in L.A.. It’s season one finale currently premieres on Freeform every Tuesday at 8 and has already been renewed for a second season.